More local awarded chefs here. More Japanese chefs here. 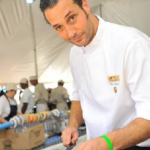 First of all, with more than 15 years of experience in the branch chef Pepi Aneveski’s latest achievement is winning the World Sushi Cup in Tokyo Japan in March 2013, and was awarded the title “World’s most creative sushi master. 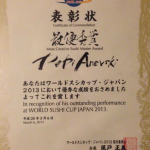 Moreover, Pepi Anevski is educated in classic Japanese sushi in Chiba Japan by Mr Kazato and became certified sushi Head chef by the AJSA(All Japan Sushi association) and from World Sushi Skill Institute. 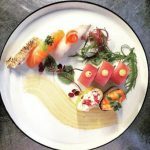 Furthermore, he has been working in Copenhagen, Denmark as Head Sushi Chef where he also learned the beautiful art of sushi. 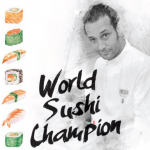 Indeed, after winning the World sushi cup he got the offer to work as Executive sushi manager for Attic Salt group. 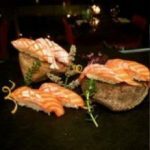 Then, His aim and ambition is to raise the sushi awareness globally and spread the art of sushi to people that are willing to learn. 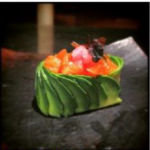 “Sushi is much more than a food creation. Its more of an art which by understanding and respecting the core products gives you amazing results,” he says. More local awarded chefs here. More Japanese chefs here. Go back home.